Believe me, coming from Italy, the ‘Country of the sun’ (or supposedly so…) and deeply disliking rain, I was surprised by my first impression. Luckily, the rain did not last long, and the last day I was even blessed by a ray of sunshine! The sea in winter is special, the light is awesome, the sounds of the waves is soothing, the seagulls dancing over the water are mesmerizing, and the salty tang of the sea exhilarating. In winter, the sea has a unique taste. Something that has to do with all our senses. I began to appreciate the seaside and coastal towns only a few years ago. It happened in Camogli, a charming and colorful town fishing village in Liguria, in northern Italy. It was a very cold winter in Milan and since the temperatures are milder on the coast, I decided to spend a few days enjoying a little warmth. I enjoyed hiking in Portofino natural park where, during winter time, there are only a handful of people on the trails, and the views of the sea from above are breathtaking. Even if you are a beach lover and you enjoy lying under the sun like a lizard, you’ll soon discover that Brighton in the Winter season has its charm. Only it’s different. It’s quieter and somehow wilder. And, of course, cheaper. Brighton is a vibrant city that has a lot to offer, and there’s no time to get bored, even at low season. 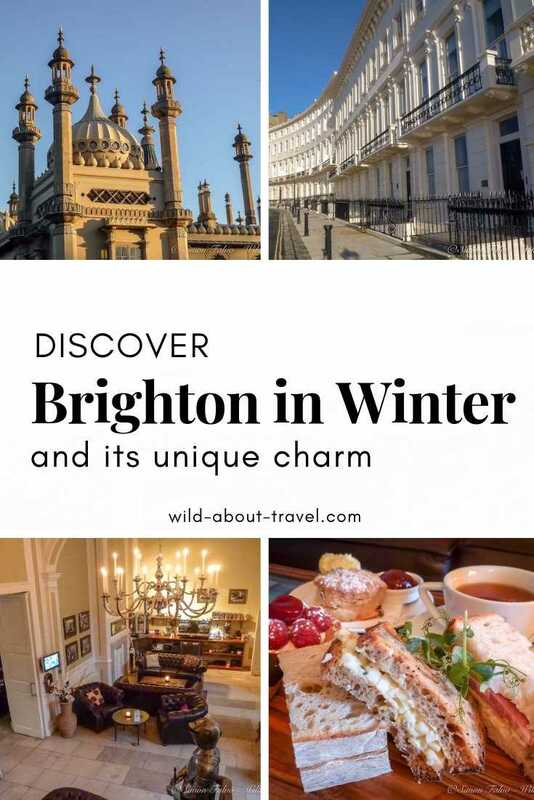 If it’s your first visit, I strongly recommend booking a free tour of the city with one of VisitBrighton Greeters as it is a great way to have a general overview and then go and explore further according to your interests. 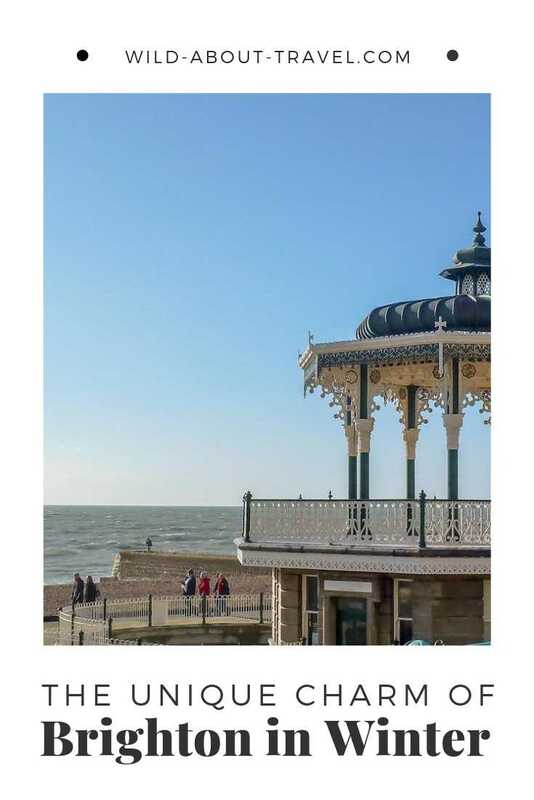 Our Greeter, a man with a passion for history, gave us plenty of insights and anecdotes on how Brighton grew up from a small fishing village to a fashionable seaside resort. Brighton development and success started in the mid 18th century when the physician Richard Russell developed his theory on the medical benefits of salted water. Russell encouraged people to try the water in Brighton, where he opened a clinic. 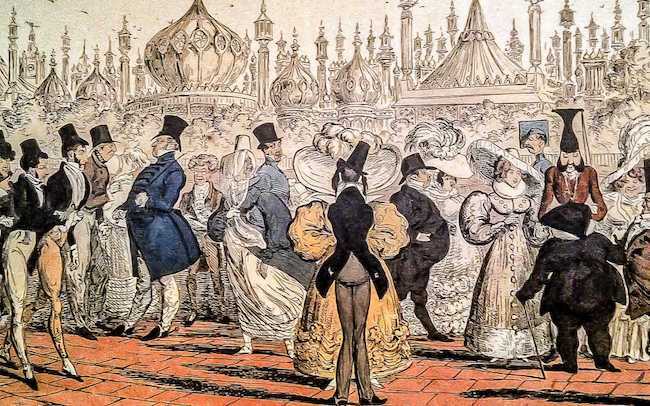 The transformation into a fashionable resort continued in the second half of the 18th century when the George, Prince of Wales, who would later become King George IV, chose Brighton as his seaside retreat. 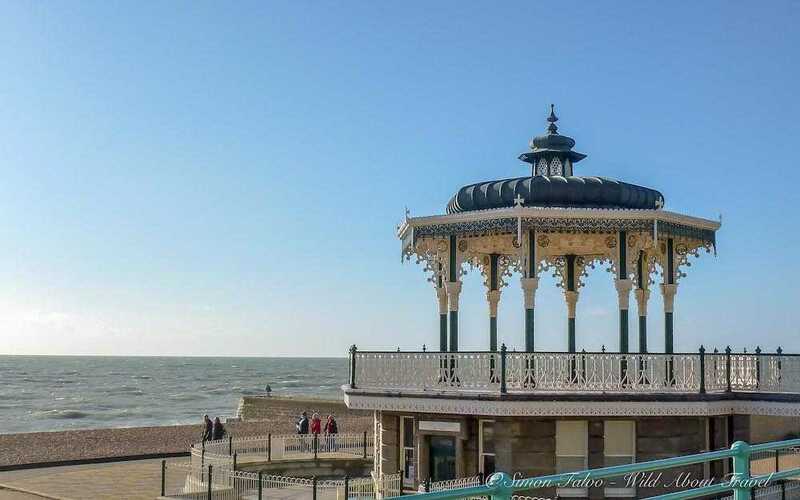 Every city and town has its iconic landmark, and Brighton is no exception. The Royal Pavilion, with its domes, minarets, and spires, is a fascinating palace, blending Indian and Islamic style in a rather unique fashion. 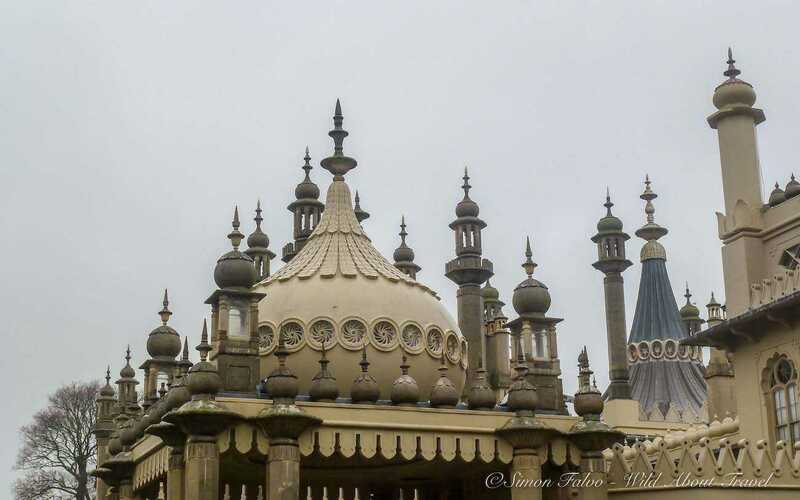 Its architecture reflects the personality of George, Prince of Wales, who progressively transformed his Brighton leisure house from a villa to a palace. George became Prince Regent in 1811, and in 1815 he commissioned John Nash, one of the top architects of its time, to redesign and enlarge his residence. The interior was lavishly decorated and the Royal Pavilion had the ultimate comforts available at the time. The Pavilion magnificence was however short-lived. The building showed structural problems very soon and at George IV death his successor, William IV, muted part of the previous extravagance. Queen Victoria stripped the Royal Pavilion of all its ostentatiousness for a more sober style and eventually sold the building to the city in 1850. Museums are a perfect activity (unless you don’t like them) to beat the cold and forget a dull day. 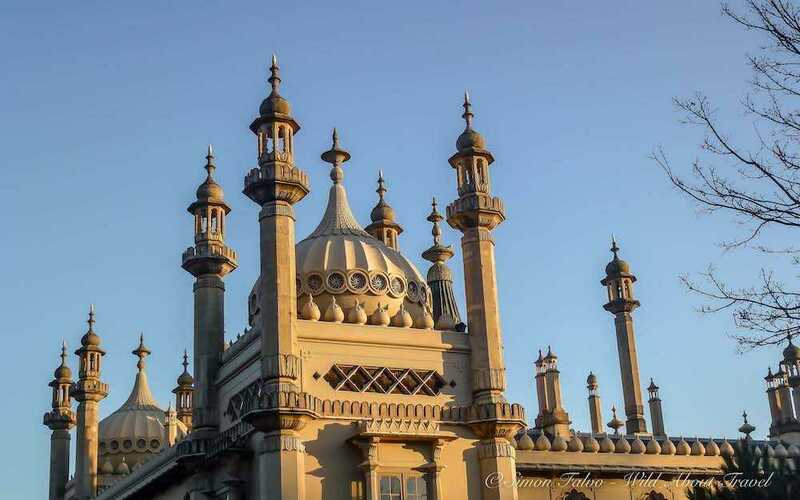 At the Brighton Museum and Art Gallery, in the garden of the Royal Pavilion, you’ll see interesting exhibits about the town’s history and development as well as a nice collection of objects ranging from Egyptian mummies to modern design. A little wintery sunshine is inviting enough for a walk on the beachfront from Brighton to Hove. On your way, you’ll cross people walking their dogs, others jogging or cycling and some simply admiring the sea. There’s life on the beachfront even in winter. And if you’re lucky enough, you might even enjoy a couple of hours sitting on the beach, reading a good book. If you like shopping and are looking for quirky objects, Brighton is the right place. Get lost in the alleys of The Lanes or in North Laines. and enjoy the quaint little shops. Pay a visit to the lovely Big Bead Boutique in Dyke Road, close to the awesome St Nicholas Church. 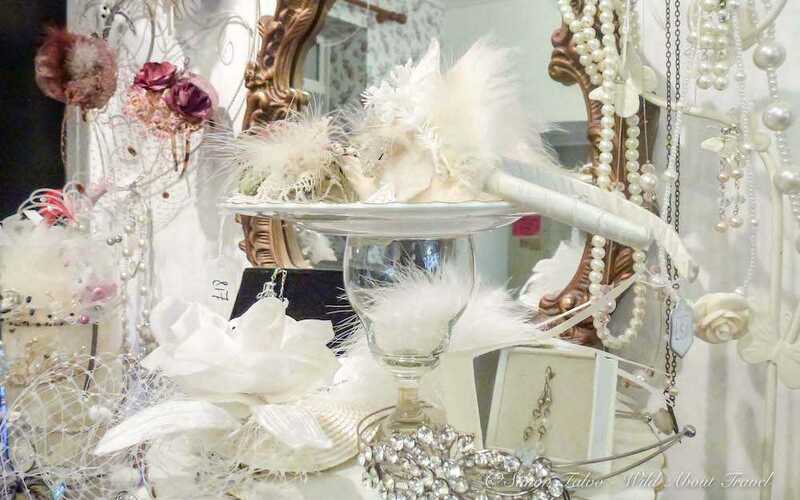 As soon as you enter you’ll be welcomed by Joanna, who founded the boutique driven by her passion for vintage, hand-made jewellery, wedding accessories and unusual objects. And with the background music of the 1930s, you’ll feel like jumping back into the Belle Epoque. A visit to Brighton (and moreover to England, if coming from abroad) wouldn’t be complete without having afternoon tea. I fell in love with Stanmer House, an awesome 18th Century Manor House set in a beautiful park. 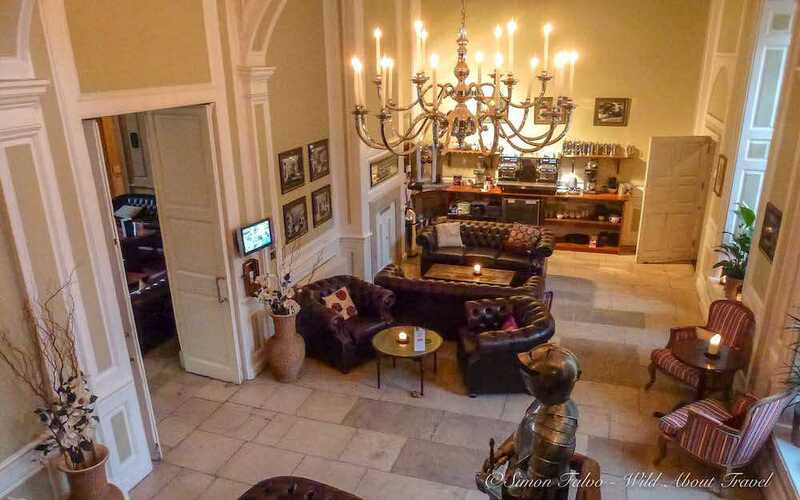 Imagine for a little while to be a British aristocrat spending some time at their countryside mansion, surrounded by beautiful antiques owned by your family since generations. Indulge yourself with delicious canapes and mouth-watering patisseries, sitting on the couch in front of the fireplace. I felt like stepping back in time, and you will too. 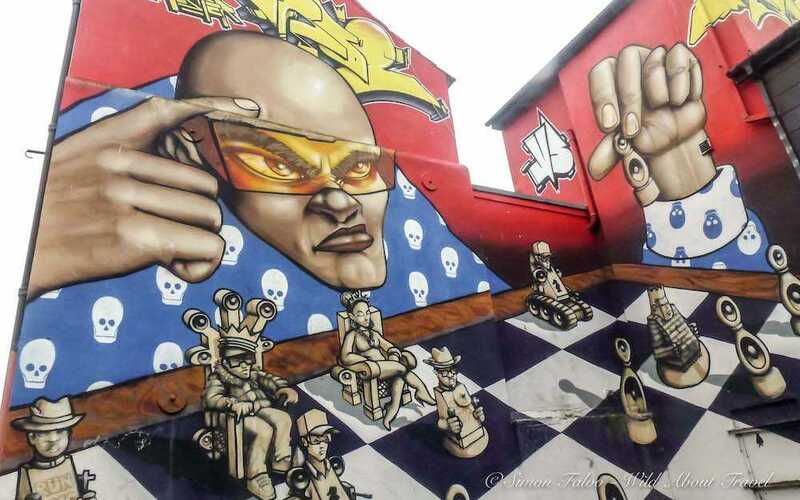 Add color to a gloomy day and go for a stroll to enjoy Brighton lively street art. I liked most of the large murals along Kensington Street, and there are many more across the city. Urban art in Brighton may not be as exciting as Bristol street art, but you’ll spot some interesting paintings. The closest airport is London Gatwick, where several airlines operate. 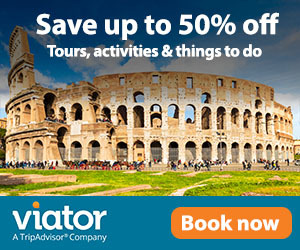 I usually rely on CheapOair to find deals on flights. The Charm Brighton Boutique Hotel is only minutes walk to the beach. Recently refurbished, the hotel features bright rooms and modern and tasteful decoration. The Oriental Guest House is only 50 meters from the beach and features a contemporary décor with a special flare. A few steps from the railway station, Hotel Una features lovely and stylish rooms, a bar, and a cinema room. 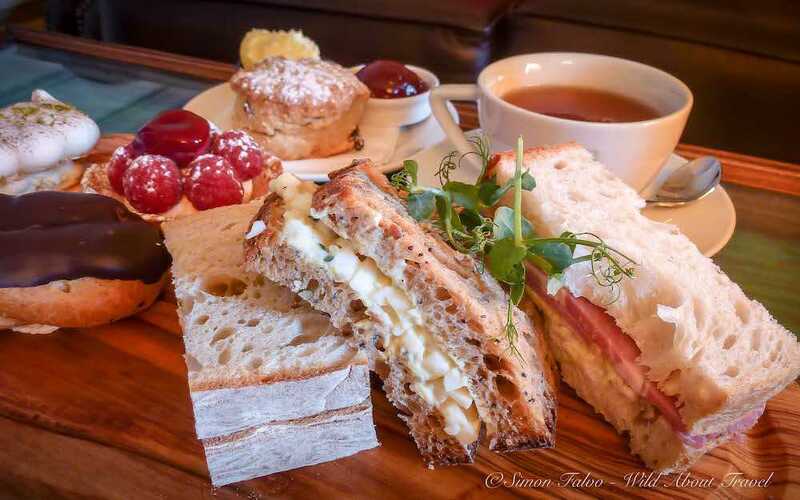 Brighton offers a wide choice, from old and cosy traditional pubs to trendy places with creative cuisines, like Food for Friends, where you can taste delicious vegetarian food presented in an exquisite fashion. My trip to Brighton was kindly sponsored by VisitBrighton, Steve Lowry and UMI Hotel Brighton, who I’d like to thank for the opportunity to discover a charming city. As always, opinions are exclusively mine. This post contains affiliate links. This means that if you purchase anything I get a small commission at no extra cost for you. Brighton is one of my favourite places in the UK. I must visit again when I’m at home! I love exploring the lanes. I hope to go back to Brighton soon as well! I visited Brighton over the winter, too, and found it lovely! Thought there wouldn’t be much there because I always imagined it as a beach town, but I actually quite enjoyed it. I agree about the charms of Brighton in winter. Not to mention the more relaxed air due to the lack of crowds. Your photos encourage me to take a winter holiday!! I love the beach in winter as long as there is good food, a warm fire, and several bottles of wine! It looks like all my requirements can be met in Brighton!